It’s here ! It’s finally here. A few posts ago I showed you few photos before I started to work on this bed cover. 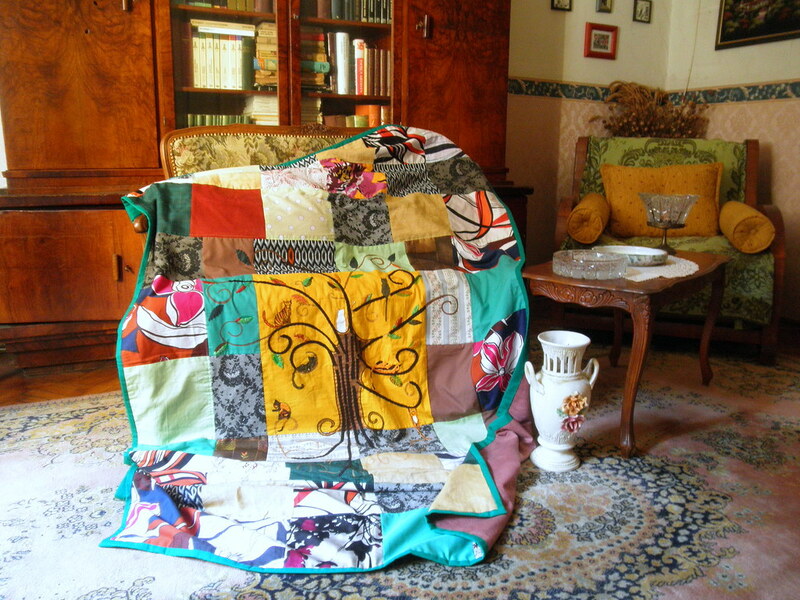 Maybe some of you remember it, but back then I only showed you the materials that I chose for this patchwork. 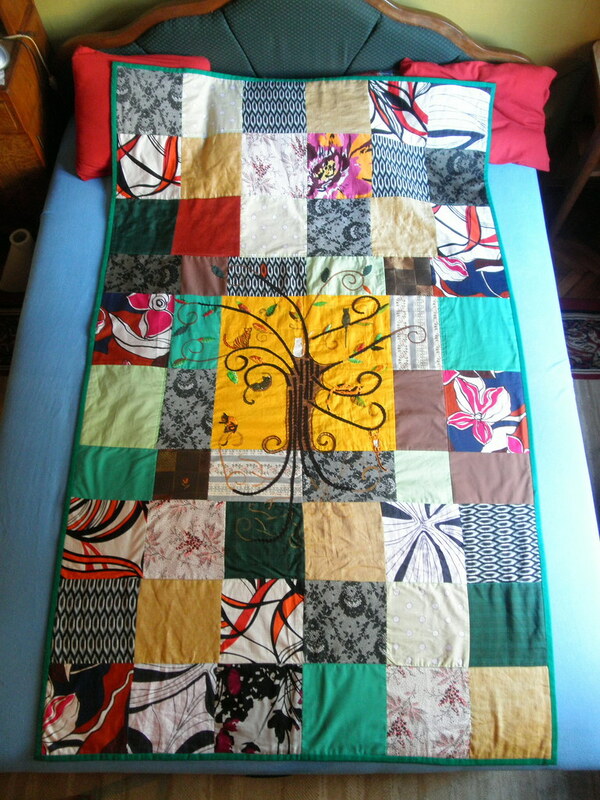 This is the first time I have made a real patchwork bed cover. 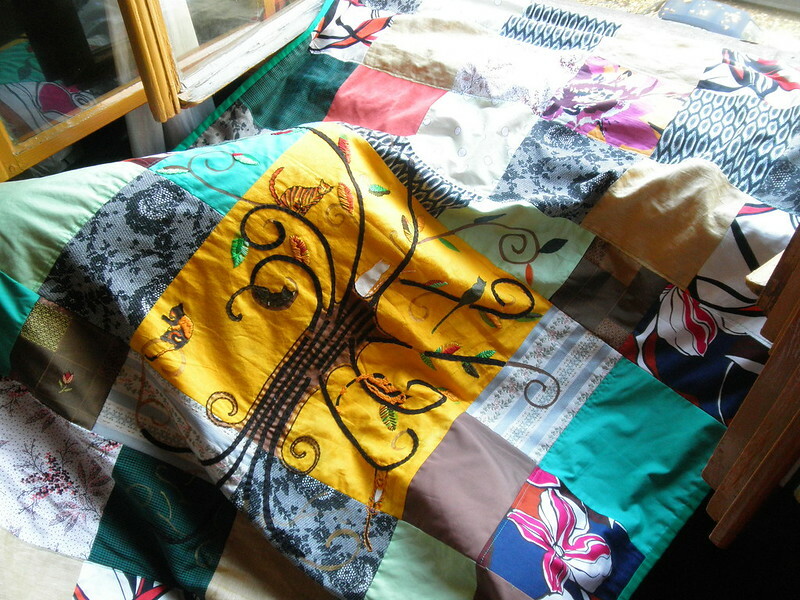 For the past few months I have watched many many amazing tutorials about quilting and that is why I decided to start making patchwork bed covers. 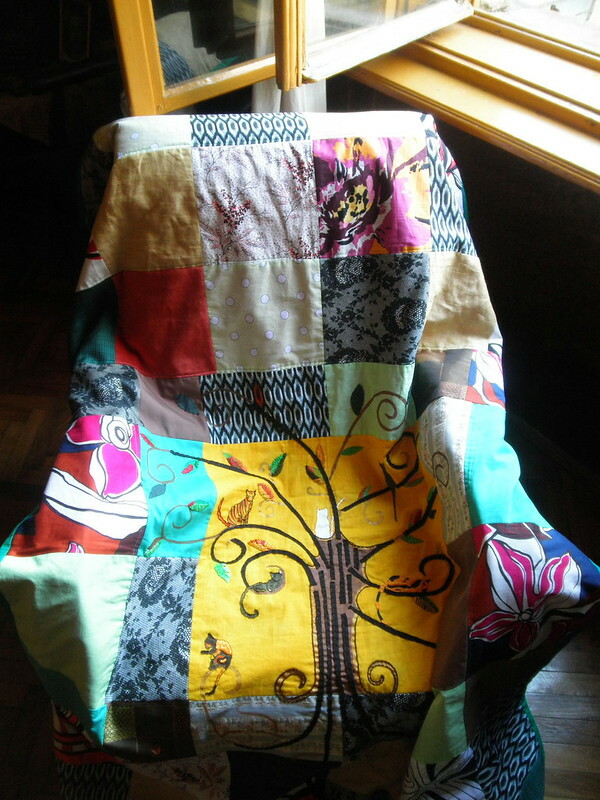 Unfortunately, I don’t have a quilting machine and I can’t make real quilts, but I can use those tutorials to create something special and different. 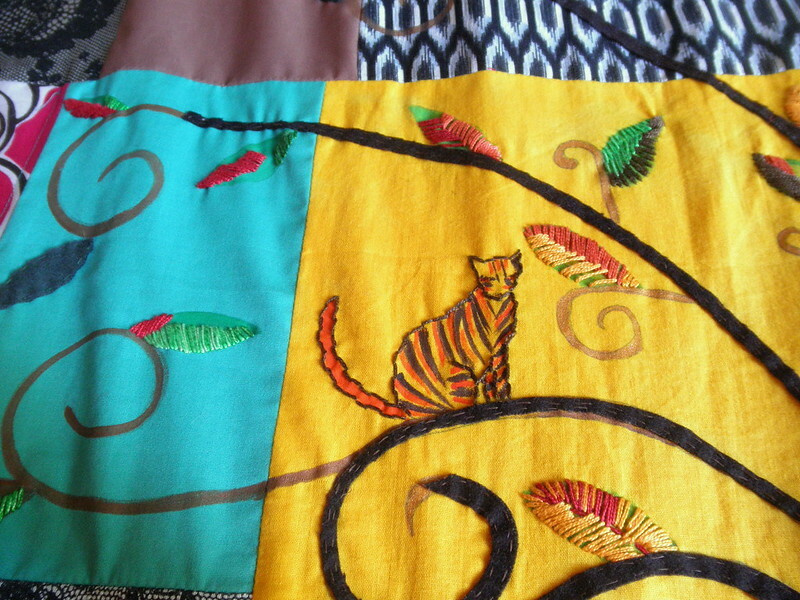 In my workshop, I have a bunch of different fabrics and I decided to use them for this project. 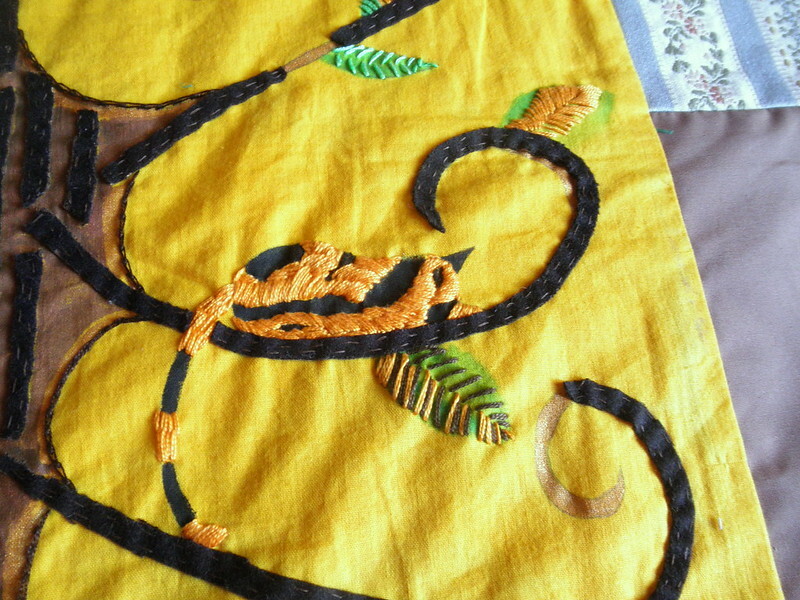 I had a piece of yellow material that I dyed this summer when I started making pillow cases with embroidered cats. I wanted to do something similar for this bed cover, but this time I didn’t paint parts on, insted I used several fabrics to make a real patchwork. You probably know by now that I LOVE CATS and that is why I put a few cute cats as details. The inspiration for this part was the fall and that’s why I did a tree with few leaves and cats who sit, sleep or hang from the tree. 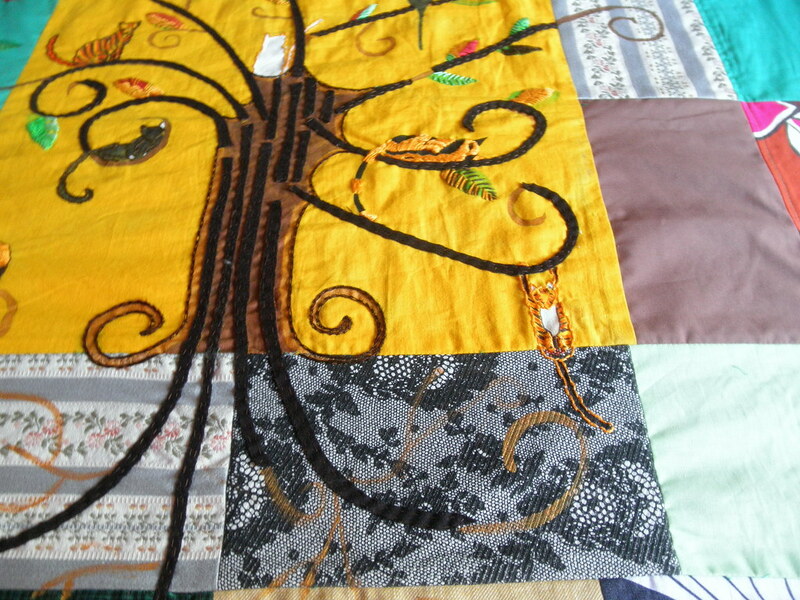 The brown stripes on the tree are made from a brown cloth and orange-metallic parts are painted. 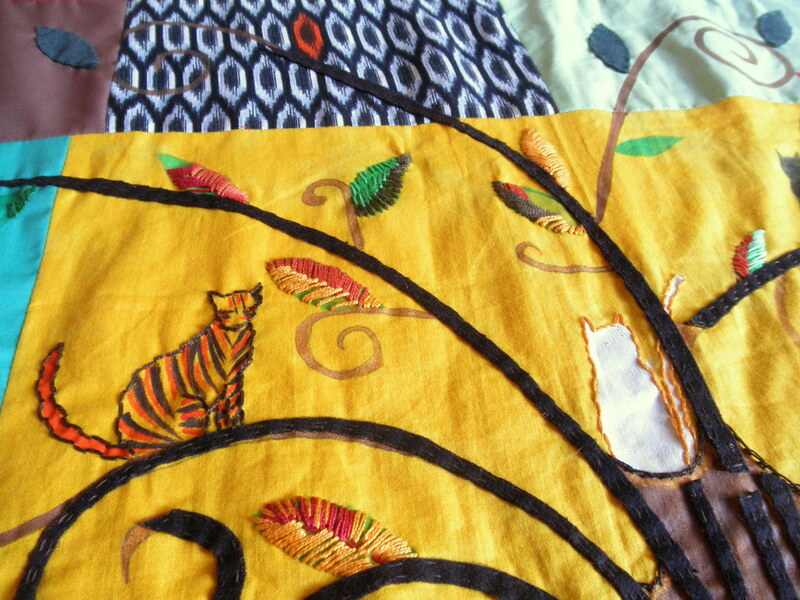 Leaves and cats are done in mixed techniques. First, I painted them, and then I used embroidery to make them more interesting. Now that I finished this piece, I know that I can make more of them. I want to start making more bed covers, pillow cases, table runners, and many other things that can make your home look special. I hope people would like my designs. I really want to make unique home decorations. 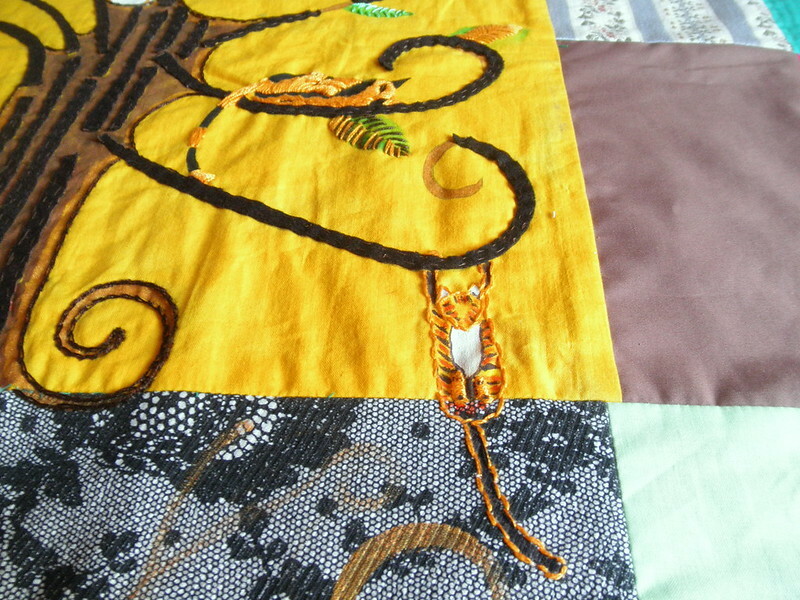 Here, You can see the whole bed cover and also the details.